Dr. DeAngelis’ primary research interests are in the broadly defined areas of mineralogy, petrology, and experimental geochemistry, with particular focus on the synthesis of minerals at the nanoscale and experimental investigations of fluid-mineral interactions. Dr. DeAngelis runs the UALR Department of Earth Sciences Mineral Synthesis Laboratory (Science Lab Building – Rooms 155 and 164) that uses a sol-gel technique to synthesize nanoscale olivine over a range of compositions. UALR synthesized olivine has been used in several different experiments, including examining its potential to sequester carbon dioxide through the reactive process of mineral carbonation. Additionally, Dr. DeAngelis has continued to expand on his graduate work examining exchange of oxygen isotopes in contact-metamorphic-analog dolomite-reaction experiments and chemical weathering/dissolution experiments involving olivine and low pH fluids. Dr. DeAngelis also has an interest in planetary geology, and has worked with undergraduate students to petrologically examine several meteorite samples. In addition to the research focus areas above, Dr. DeAngelis has worked with undergraduate and graduate students on several projects related to Arkansas geology. These projects have ranged from examination of rocks associated with the Magnet Cove Alkaline Intrusive Complex located near Malvern, AR to examination of diamonds and garnets associated with the Prairie Creek lamproite located at Crater of Diamonds State Park near Murfreesburo, AR. Dr. DeAngelis is always interested in working with students to do the type of petrology or mineralogy research that THEY want to do! With this in mind, he has also advised projects ranging from pegmatites in Maine to volcanic rocks from SE Missouri. Dr. DeAngelis first became interested in the study of geology during his childhood spent exploring the glacially-sculpted landscape of SE Wisconsin. While attending the University of Wisconsin Madison for his undergraduate degree (1993-1998), he discovered that his primary passion in geology was to learn about minerals and “hard” rocks (though he was also very much drawn to hydrogeology coursework). After graduating with his BS Geology, he promptly began a career in computer programming! After four years of missing geology, he returned to the study of geology in 2002 when he began attending the University of Tennessee in Knoxville, TN. Dr. DeAngelis received both his MS (2005) and PhD (2011) in Geology from the University of Tennessee working with Dr. Ted Labotka. Both his MS and PhD work involved fluid-mineral experiments performed in collaboration with researchers at Oak Ridge National Laboroatry in Oak Ridge, TN. 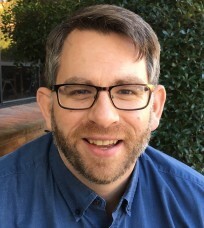 After graduating from the University of Tennessee, Dr. DeAngelis joined the faculty of the UALR Department of Earth Sciences, first as a visiting assistant professor (2011-2012) and then as a tenure-track assistant professor in the fall of 2012. Dr. DeAngelis is an active member of the Geological Society of America, the National Association of Geoscience Teachers, the American Geophysical Union, the Geochemical Society, and the Mineralogical Society of America. He is currently the chair of the 2018 South Central Geological Society of America to be held in Little Rock, Arkansas in March 2018, and is actively working to revitalize the Midcontinent section of the National Association of Geoscience Teachers.